Brandy J.Simple breathing relief for noses. John D.Sleep well every night. Ian M.Max-Air Nose Cones all night comfort. David C. Las VegasSleep breathing problems solved. Team Refuel, CABetter breathing, better sleeping. Jamie W.Breathing help is a success. Diana G.Max-Air Nose Cones to the rescue. Henry M.Happy Sinus Cones user. Mark SDeviated septum relief works well. Angela K.Deviated septum treatment without surgery. Phil N.Best nasal relief for sleep. Laurie W.Love Max-Air Nose Cones for sleep. Max-Air Nose Cones | Sinus Cones: squeezie-soft, nasal dilators for superior, sleep-breathing comfort. Squeezie-soft, Max-Air Nose Cones, nasal cones / nasal devices, maximize nasal breathing volume to gently relieve deviated nasal septum and stop snoring. Soft, Sinus Cones nasal dilators effectively stent open nasal airways to remedy sinusitis, clear nasal sinus congestion, relieve blocked nose and collapsed nasal airways for deep, peaceful sleep. Max-Air Nose Cones and Sinus Cones are precision-engineered, soft nasal dilators. They are ergonomically shaped to support the entire nasal airway and are made with soft medical materials to comfortably and gently maximize nighttime nasal breathing. Nasal breathing is the key to stop snoring and relieve airway issues that disturb sleep. Why not try our nasal sleep aids, the best in nasal cones, today! Now you can sleep well every night by breathing well with Max-Air Nose Cones or Sinus Cones. Our nasal devices are drug-free, adhesive-free, latex-free, and stress-free. 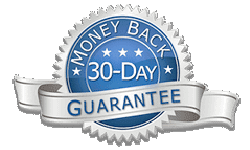 Made in the USA with a 30-day money-back guarantee. I have a deviated septum and had trouble breathing through my nose when I slept. I'd wake up with a very dry mouth and throat from breathing through my mouth all night. Also, would snore and occasionally would wake up with headaches. These things work great! All those issues are gone, didn't want to get a CPAP machine and glad I tried these first. Love these so much! They are long lasting and comfortable. I used to use Breathe Right strips but got tired of the sticky residue it left behind. Will be purchasing these Sinus Cones again! In clinical tests, Max-Air Nose Cones are shown to provide 2X MORE inhaling power than nasal strips.1 Just PURE INHALING POWER with no irritating adhesive. Rest easy knowing that you may breathe easier and sleep well starting now. MAX-AIR NOSE CONES – Softest medical-grade material for the ultimate blend of squeeziness and gentle airway stenting-action that makes Max-Air Nose Cones a perfect breathing remedy for relief of milder nighttime nasal airway issues. MAX-AIR NOSE CONES SPORTS PERFORMANCE – Soft medical-grade material with a new fitting system that makes the Sport Performance the perfect choice for maximizing nasal breathing to improve sport performance, exercise endurance and speed recovery. The Sport performance may also be a good choice for sleep if you are an ” active” sleeper. SINUS CONES – Softer, medical-grade material with a little clip that fits on the outside of the nose that makes Sinus Cones a perfect sinus remedy for more problematic or chronic sinusitis and nasal airway congestion or more severe nighttime nasal airway obstruction. They are soft, but durable, with just the right combination of comfort and stenting power. Tired of not being able to breathe during sleep? Seeking a simple choice in nasal airway relief? If you are frustrated by your struggle with fatigue due to sleep loss from sinus problems, snoring, a blocked nose or swollen turbinates, Max-Air Nose Cones and Sinus Cones may be just the solution that you seek. Sinus Cones and Max-Air Nose Cones are easy to use any time you need nighttime nasal airway breathing relief. They are Made in the USA with soft medical-grade materials, and are precision engineered for safe, effective relief, and all-night, every-night comfort. Keep them by your bedside and use as needed. Watch this short video to see how. Sinus remedy choices: Is minimally invasive sinus surgery better?